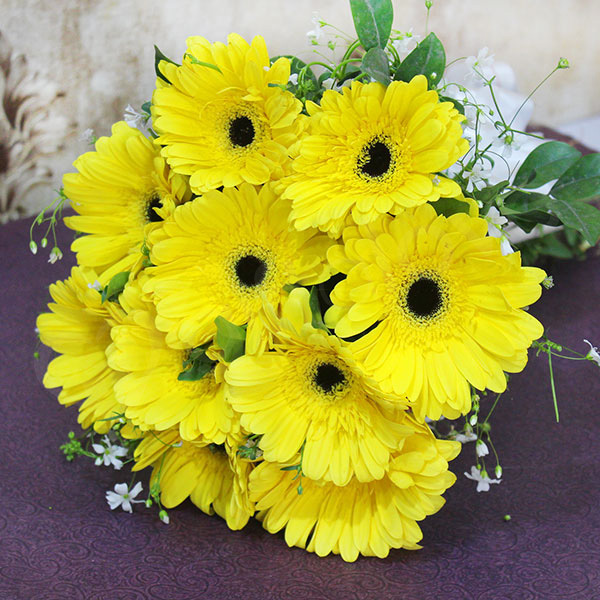 Use of green fillers in this bouquet depends on its seasonal availability. Ribbons and wrapping papers can be reused as needed. 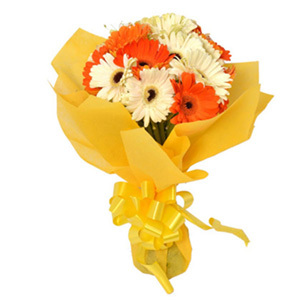 Gerberas when used as cut flowers have a long shelf life. Like Sunflowers, Gerberas also turn towards the sun. Wow!! This has been designed with so much love!! 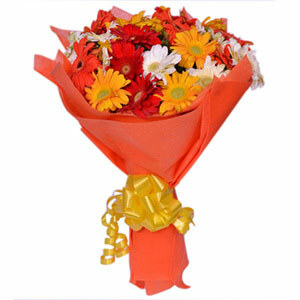 It"s a beautiful bunch of pretty flowers that is apt for gifting on any occasion be it birthday, wedding, anniversary or anything. All you have to do is to place an order and you will be able to see that bright smile on the recipient"s face. These flowers look so vibrant just like in the picture. Glad i ordered the flowers from here.